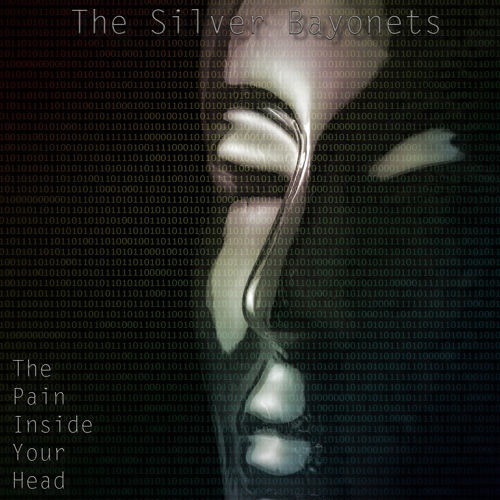 The Silver Bayonets are a London- based indie rock band who, we are delighted to learn, love vocal harmonies. This is especially true when we learnt they describe their sound as “very loud, addictive guitar pop music”. This is the band’s debut album and is due out in May so plenty of time to check them out and get it ordered. The album kicks off in brilliant fashion with the rocking “Schemes”. The beauty of this song is in its simplicity, it’s just a great rock n roll song with a huge melody. It’s a similar story with “High Life” and “Constant”, the second of which has a bit of a wider scope and recalls early, rocking, Stereophonics. Tracks like that and “Fairy Tales For The Cynics” suggest that whilst the band may be destined for big things they have retained that straight out of the garage enthusiasm. They have the sense of being played with a real sense of passion borne from frustration. The band are not just one dimensional, as shown by “Nowhere Left To Go” which is darker and far more ‘alternative’. Whilst “Low” is again a more intense and claustrophobic sounding song. Then “”The Fly” manages to have a wider more expansive sound, but also with perhaps one eye on a more mainstream sound. The one thing that The Silver Bayonets are really good at is delivering an up tempo and bombastic rock song, as shown by The Clash esque “Forever” and the classic sound of “The Loudest Voice”. It’s a similar feel on “Your Complex Life” which sees them adopting the gutter punk style of early Manic Street Preachers. The album then ends with “Caving In” which keeps that sound but adds a far more epic feel. This album is a reminder that once upon a time, the UK was brilliant at churning out great, young, rock bands full of spirit and energy and, most importantly, great songs. Sadly, however, they are now few and far between. Although, along with the likes of Colt 45, perhaps The Silver Bayonets could begin creating a new scene. The band they really remind us of are the sadly relatively unknown, Rich Rags. Like that band, they have delivered an album of brilliant rock songs. The tracks are punchy, punky rock numbers played with passion but also a sense of melody which will have you going back for more. There is also that sense that as a live band they will be blinding.